A Prayer For The Earth: Answering The Pope’s Call. A One Act Mini-Play. Oh, look! People are no longer part of God’s creation, in need of spiratual guidance or sermons on morality. Actually, it’s a lot easier than that nonsense about stealing, or prostitution, or marrying to have children. The EPA list is all inclusive and can be printed out on a couple cards for easy carrying. The moral superiority felt by those who comply is the ultimate secular—oops, I mean religious—high. Free at last to worship the true God—Gaia. Yes, creation is in need of prayer, just not the prayer implied here. Reduce your carbon footprint or you’ll turn into a form of carbon yourself. Oh woe, oh woe, oh woe is me. 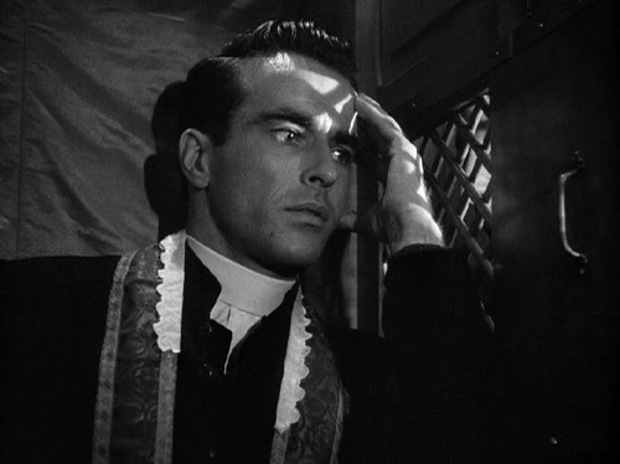 When I made my pre-Vatican II first communion that potentiality was presented (while returning from receiving the “wafer thing”) it might fall from your mouth because Father hadn’t gotten on your tongue properly (he was afraid you were going to bite his fingers off). You weren’t supposed to pick it up but were supposed to stand there pointing at it until Father realized your predicament and rescued the “wafer thingy” for you. One of the blessings of Vatican II is that you could take the “wafer thingy” in your hand. The Pope needs to read Michael Crichton. You are already a form of carbon. JohnB that’s what the communion plate is for. And Vatican II had absolutely nothing to do with the despicable practice of taking the Eucharist in your hand. That practice was begun in disobedience then allowed, on a limited basis, by indult. From there it spread like wildfire, hand in hand (so to speak) with the plummet in the belief in the Real Presence. Your own post betrays you. And VII was dead on arrival. A Saintly Pope will one day put it where it belongs: on the ash bin of history along with that despicable frankenstein protestantized bugnini mass it spawned. Well, I’m not sure every priest will be that much taken by Laudato Si. As I’ve said in a previous post, that encyclical is much like the Curate’s Egg. Although one might think of it as being spoiled, there are parts that are excellent. One thing we should pray for: that the Holy Father stop seeking the advice of non-Catholics (e.g. Naomi Klein) who oppose everything the Church is trying to uphold. I believe the Pope is being mocked for appearing to be worshipping the earth and not God. communion plate … It’s called a paten … I wielded one (it got extremely confusing when you didn’t know who would receive it how – a nightmare for the altar boy). Even so, receiving it the “proper” manner, It is possible to receive it and not have it under control and lose it as you’re trying to negotiate it in your mouth (it was a possibility suggested by the good sisters during my Communion instruction). Bob :: One thing we should pray for: that the Holy Father stop seeking the advice of non-Catholics (e.g. Naomi Klein) who oppose everything the Church is trying to uphold. You DID see my comment about the Pope seeking the advice from Oprah Winfrey regarding “public relations”, I’ll relink if you want. You guys aren’t going to win any converts with this sort of unpleasant humor. The penitent got off easy. This would suggest that the bad advice he is getting is from inside the Vatican. I am really conflicted. The Holy Spirit is supposed to direct what happens at the election of a new Pope…. given this to be true, is there some long-range, subtle effect of all these strange doings of our Holy Father that we aren’t aware of in our limited vision? JMJ: No one was trying to win converts. That’s what progressives do. Religion speaks the truth even if no one follows it. It’s not about consensus. John B(): I seriously hope that this is not true. If it is, that would be the final sign that this Pope has nothing whatsoever to do with God and everything to do with man. As I noted for JMJ, religion speaks the truth, not tries to be one of the popular kids. This pope is looking more and more like a dangerous false prophet who craves attention more than anything else. The MTV glamour Pope–not a religious leader. Sheri, I don’t know of any Popes that have been removed, or what an approved mechanism for doing this might be (akin to impeachment and conviction). There have been schisms and anti-pope way back when, but I don’t think that sort of thing might happen nowadays. Again, the notion is that the Cardinals who were the Electors were being moved by the Holy Spirit to do the right thing. Certainly that was the case for Pope St. John Paul II and for Pope emeritus Benedict XVI. Maybe it will turn out to be the case also for Pope Francis. Matt. 7:16 applies, I think. Bob: You are an eternal optimist. I hope your optimism comes true, but at this point, I’m leaning toward a more pessimistic outcome. Hush, now. I want to hear Jersey McJ tell how to win converts.